Negotiators started a few weeks ago to thrash out details on the controversial posting of workers directive in three-way talks between national governments, the European Parliament and the European Commission. The file regulates how long workers can stay in one EU country and still pay social contributions in their home member state, and it has caused sharp divisions – especially between eastern countries that argue the bill will discriminate against their companies and western member states that want to clamp down on low-wage labour that may undercut the local workforce. 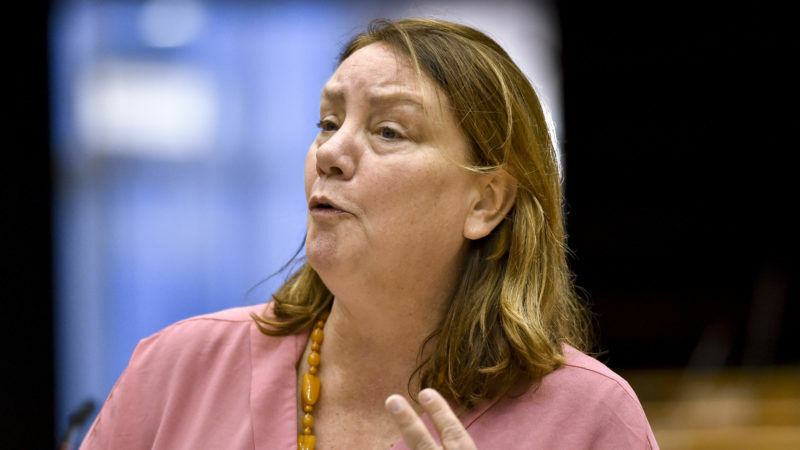 Agnes Jongerius, the socialist Dutch MEP who is leading talks on behalf of the Parliament, said she is pushing for the rules to work in practice. “If we have rules that cannot be followed and enforced, I would consider that a total waste of time,” she said at a panel discussion organised by EURACTIV.com. Lawmakers are advancing slowly on the amped-up social policy agenda. The posted workers legislation is trudging through negotiations, and member states agreed last month to support the sprawling 16-point pillar of social rights, a set of principles on employment conditions that the Commission proposed this past spring. Now, they have turned their attention to making the rules work in practice. And the legislators have a new proposal to consider. 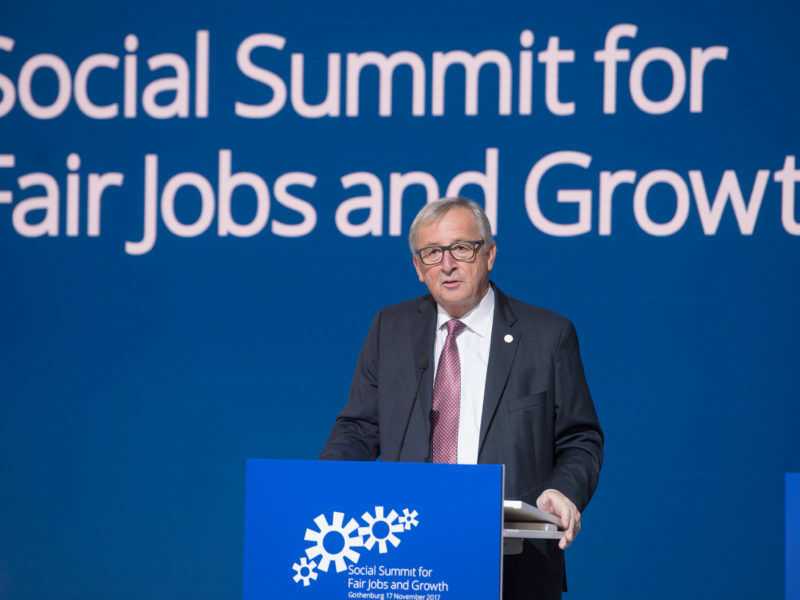 In September, Commission President Jean-Claude Juncker suggested creating a labour market authority to oversee how the increasing amount of EU social policy is enforced. 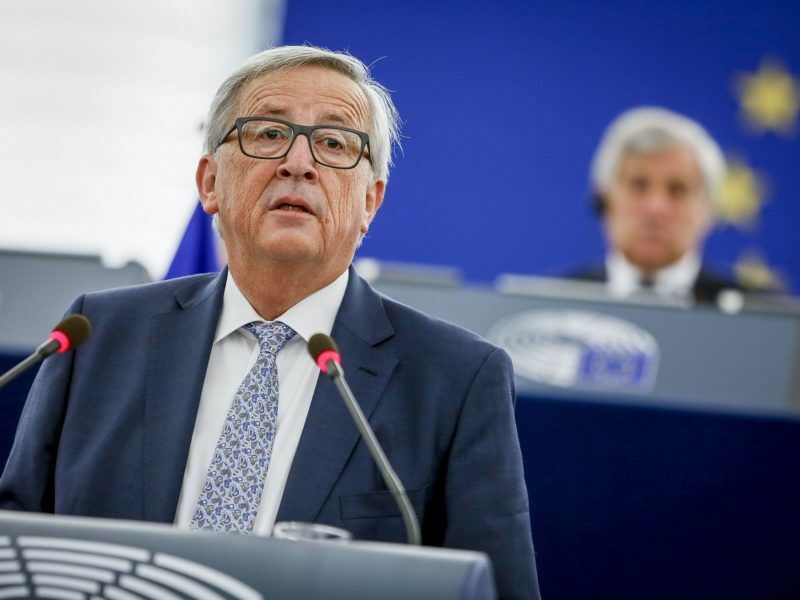 “We should make sure that all EU rules on labour mobility are enforced in a fair, simple and effective way by a new European inspection and enforcement body,” Juncker said in his annual state of the union speech, when he announced the proposal. The Commission has pointed to the growing number of Europeans working outside their home countries as evidence that a new authority is needed. Sixteen million Europeans work in a member state outside their home country, which is twice the amount compared to ten years ago. Labour union groups said the new EU body could help to make sure that the flurry of social legislation take effect. “You need measures to enforce. You need controls not only at national level, but you need a European approach to how European measures are being respected,” said Séverine Picard, a legal advisor at the European Trade Union Confederation. She said that the labour market authority could help make the pillar of social rights “a reality, instead of a proclamation only”. The social pillar is not legally binding, although the Commission has vowed to follow up with more legal proposals. Jordi Curell Gotor, the director in charge of labour mobility at DG Employment, the Commission’s labour policy arm, said that Juncker’s proposal for a new authority would fill in gaps and oversee areas that national agencies currently don’t have the resources or ability to manage. The authority “would be precisely there not in order to do what national administrations have to do. But to help them where there are elements that go beyond the borders of a country. “I think this would be important and will indeed contribute to fighting abuse,” Curell Gotor said. But he said that an added hurdle for making sure employment rules are enforced is a trend towards downsizing national offices in charge of policing the labour market. “If you reduce the number of labour inspectors it would be more difficult to check that the rules are applied. That’s the first point, we need to really make sure member states devote the resources for that,” he added. A 2010 report from the International Labour Organisation found that national authorities “commonly lack the necessary resources, tools, procedures and coordination with other relevant authorities to identify, prevent and remedy” cases of undeclared work. Figures from a 2013 study by the European Public Service Union showed that several EU countries diminished their agencies in recent years. In 2011, Greece’s labour authority had 366 staff members, down from 1,192 in 2008. Hungary’s agency employed 300 labour inspectors, compared 696 in 2008. Latvia and Romania’s agencies also shrunk in the same time period. Not all member states are lagging. During the same years, France, Italy and Spain saw an increase in the number of labour inspectors, the EPSU study shows. Curell Gotor underscored that staffing is only one part of the struggle to beef up enforcement. But he added that “When it comes to the transnational situation, then it is more complicated”. As the EU plans measures to step up its own labour rules that apply across the bloc, officials working on Switzerland’s policies for workers from other countries have been eager to show that the Swiss example might be a model worth emulating. Switzerland has seen a surge in the number of workers commuting from neighbouring countries that are EU member states: the amount has doubled since 2002, and now makes up six to 7% of the country’s total workforce, said Boris Zücher, the head of the labour directorate at Switzerland’s state secretariat for economic affairs. He said that increase was bolstered by Europe’s economic crisis and rising unemployment rates in some EU countries. Switzerland’s federal system with 26 different cantons created an extra layer of difficulty for labour market enforcers – the federal government has stepped in to make sure rules are applied in a similar way by state and local governments. “Enforcement per se is messy, it’s tricky, it’s not so easy. There is no unique way to enforce the same laws or the same directives,” Zücher said. He compared the Swiss federal government’s steps to oversee labour market inspections to how the Commission communicates with the 28 EU member states about their enforcement of the bloc’s common rules. “This needs a lot of dialogue,” he said.